Okay, I admit it – I’m opinionated. Strongly opinionated. After studying the topic of retirement lifestyles for several years, closely observing my parents’ retirement and living through my own transition from working to retirement, I have gained a lot of perspective. 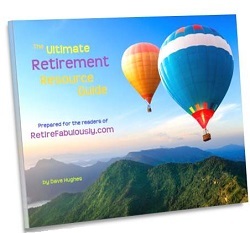 The main reason I started this website was to share my knowledge, experience and perspectives on envisioning, planning for, and enjoying a happy retirement. While my perspectives show in everything I write to some extent, these articles are the ones in which I most unabashedly share my personal opinions and experiences. These articles are my story. What Will Your First Year of Retirement Be Like?